Lingua Confluence Training Centre also offers further education for teachers in accordance to the decree № 77 of the Ministry of Education and Research (03.03.2015). Teachers have opportunities to take part in further training, but very often these opportunities are not used due to problems with substituting teachers, lessons, and plain lack of time. 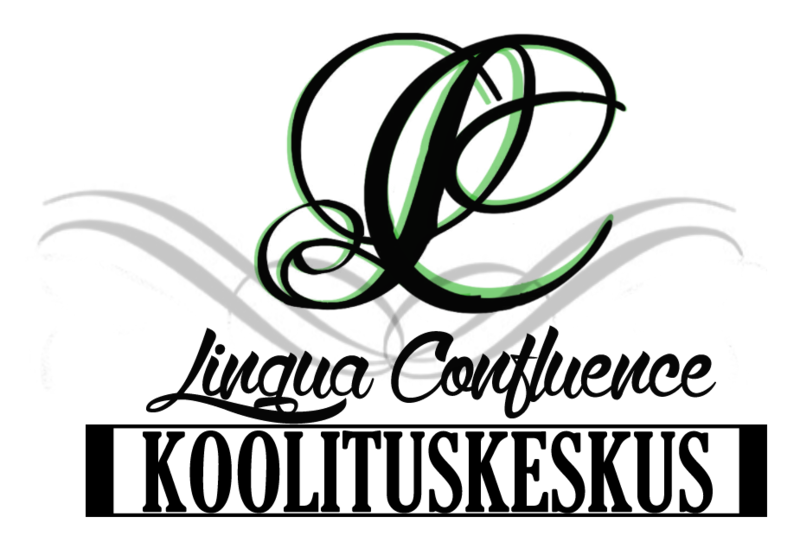 Lingua Confluence Training Centre offers the possibility of refreshing your knowledge in different fields without leaving the school and with minimum time usage - seminars are 3-6h and take place within the client school's premises - in other words, new ideas come straight to your classrooms. Currently a hot topic in education is making school more interesting and creating change, which is Lingua Confluence Training Centre's goal achievable by its modern, lively and practical training seminars. Teachers' further trainings have been divided into modules. These modules can be ordered one by one or a whole package. The time and place of training will be agreed upon with the client. Trainers: Kadi Lepik, Karoline Säde, Liis Oja, Ingel Terasmees-Mellik. Aim: to give the teacher the theoretical and practical knowledge of how to use different study environments and programmes to create and carry out lessons (including on smart devices). We also aim to support teachers, who so far have not been daily users of technological devices and environments by giving them practical solutions that can be used immediately to modernise studying in lessons. Length: 6 academic lessons, one study day. At the end of the day the teachers have tried and used all the programmes and interactive environments and will create themselves a work-environment, where in the future they can look at the user manuals of all the programmes and actually use the exercises with their students. Aim: The aim of the student motivation module is to broaden the teachers' knowledge about what and how is student motivation affected as well as offering real-life active methods to be integrated into lessons for increased motivation. The training is built on active learning methods. As a result of the training, the teachers' knowledge of the topic is increased and they have received many real-life methods ready to be integrated into their own lessons. What characterises a motivating teacher and a motivated student? Tests for evaluating how motivating the teacher is and how motivated the students are. What keywords characterise a motivated classroom? Five most important subtopics in student motivation - explanation of the topics, scientific studies and specific methods and exercises to use in lessons in regards a subtopic in order to achieve greater student motivation. Openness and involvement - how the subtopic affects student motivation; methods and tools for creating reliable relationships with students, involving students in the learning process, monitoring and recording progress. Individuality - how the subtopic affects student motivation; methods, how to include the individuality of the students in the activities and structure of the lesson to the fullest. Unambiguity and clarity - how the subtopic affects student motivation; different possibilities, applications and benefits of a "rules and consequences" system. Excitement - how the subtopic affects student motivation; methods, ways and tools for making studying more exciting for the student; how to involve music in any kind or part of a lesson, new and unique ways for expanding student vocabulary in language classes. Feedback and celebration of success - how the subtopic affects student motivation, importance of feedback; specific feedback forms to be used in lessons - feedback from and to students, forms for independent evaluation and principles of formative assessment, methods and possibilities of celebrating success in different classes respective of the students' age group. Aim: The aim of the active learning methods module is to offer teachers specific, practical active learning methods to be used in English lessons on various topics, with various age groups and textbooks. This is a very practical module, where at the end of the day the teacher's set of active learning methods has greatly increased as well as having created a specific studying method corresponding to their needs in class. What are active learning methods and what are they for? How does basic text from a textbook become an active learning method? Advantages and pitfalls of active learning methods. For every subcategory many different methods are introduced with instructions for execution and evaluation as well as example tools. The teacher has a possibility to try out different methods during the training and in the end create a customized ready-for-use active learning method based on what they experienced and learned. Aim: The aim of the cross-cultural communication module is to offer teachers specific methods for integrating cross-cultural communication into language lessons. Through the handled topics the teachers will be shown how to draw students' attention to different aspects of different cultures, especially those that affect the efficiency of communication. Main emphasis is on characteristics of cross-cultural communication, pragmatics, and teaching methodologies of communication strategies. Teachers are directed to use various conversational situations and role playing in teaching of communication strategies. They also gain knowledge of how to educate children on problems and misunderstandings in communication and their causes. Lenght: 6 academic lessons, one study day. At the end of the day the teachers have an overview of different cultures' communication peculiarities and practical methods for bringing cross-cultural communication into the classroom. Aim: The aim of this module is to provide teachers with methods for using global dialects in lessons and to offer specific tools for introducing different global dialects in English classes. In addition to the methods and tools mentioned, the lesson will also entail review of basic rules of various English dialects and role plays for practising them. The aim of the training is to bring teachers' attention to the fact, that in the 21st century it is vital to know of, and understand, dialects such as Indian English in addition to the standard British or American English, because in the globalised modern society people interact evermore with people, for whom English is not their first language and English classes should offer some preparation for this. Why do we need to handle global dialects in class? How to handle global dialects in class? What are the unique characteristics of the main dialects? Where to find material for introducing a specific dialect in class? What methods should be used for introducing a specific dialect in class? Goal: The module is intended for all teachers, who want their pupils to keep their desire to study and wish to create a strong team out of their class. The aim of the module is to give teachers a knowledge pack of how to motivate pupils and how to create joy for studying in children. The training covers immersion methods, among other things, as well as giving ideas how to make these methods work inside the classroom. Immersion is a method of teaching centered on the child, resulting in an enriched and functionally bilingual child. Thus this module teaches how to teach foreign languages for elementary classes using immersion methods (learning the language through usage, non-translation of materials), how to organize working in groups in lessons, why the day could start with a morning round, etc. The teachers get a package of materials or handouts will be provided each training session, ready for use in actual classes.